The Answer to the question – should I play rummy or not? When it comes to card games, rummy is often on the top of the list of most players. Having been around for over five hundred years can do that to a card game! It was once played only by royalty back in the day and today, it has evolved into a much-loved game by both the young and the old alike. Gone are the times when all card games were seen as a form of gambling or a waste of time. Rummy has come a long way and was played offline for many centuries before the online play of rummy became a reality. Rummy has a practically endless list of variations depending on where you live and many of them have found their way online. 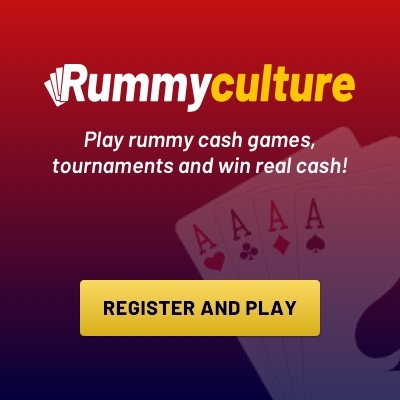 In the information age, there are numerous online rummy games on various platforms that have mushroomed, and RummyCulture is one of the most premium and stable ones out there. If you have been wondering whether or not you should play rummy, then we are here to settle the matter for you. On RummyCulture, you have access to three versions of Indian Rummy and there is a variant to suit every kind of player, so read on. Rummy rules are very logical and can be picked up very easily. If you are familiar with the basic framework of the rules, you can pick up almost any variant of online rummy. Online rummy is a great hobby too and can be a ton of fun while also opening up the possibility of winning real money. This is probably why people from around the world play online rummy round the clock. Whether you are a more laid back person with patience or a thrill-seeker looking to take risks, there are cash tables as well as tournaments that can cater to both these type of players. The amazing thing about online rummy is that all you need is your mobile phone and a basic internet connection to get started. So, the next time you find yourself in a traffic jam, a boring social ‘do’ or on an office break, simply log in to RummyCulture and make the most of your time by either learning, practising or winning real cash. The mobility of online rummy is one of its best features, making it the game for choice for millions of people who have turned it into a viable earning opportunity. When you play rummy face-to-face, you do not stand any chance to receive bonuses the way you do online rummy. When you sign up on RummyCulture, you receive a significant welcome bonus and subsequently, other cool bonuses that will further encourage you to explore the arenas on offer. Another positive aspect about online rummy is the host of rewards that players win at tournaments, as well as at cash tables. This amount is much more than a player can stand to win in a game of rummy offline, i.e. if money is involved in the first place. Special tournaments further increase the winning amount as well as the rewards given to players significantly. We hope reading this has brought clarity to why you should give rummy online a shot! Register yourself on RummyCulture to learn the various aspects of Indian Rummy, including Deals Rummy, Points Rummy and Pool Rummy. Participate in regularly organised tournaments, enjoy attentive customer service and secure payments gateways that will make your gaming experience exceptional. If you’re a mobile person, you can also download rummy and be a part of all the excitement, starting now!